No more fans. 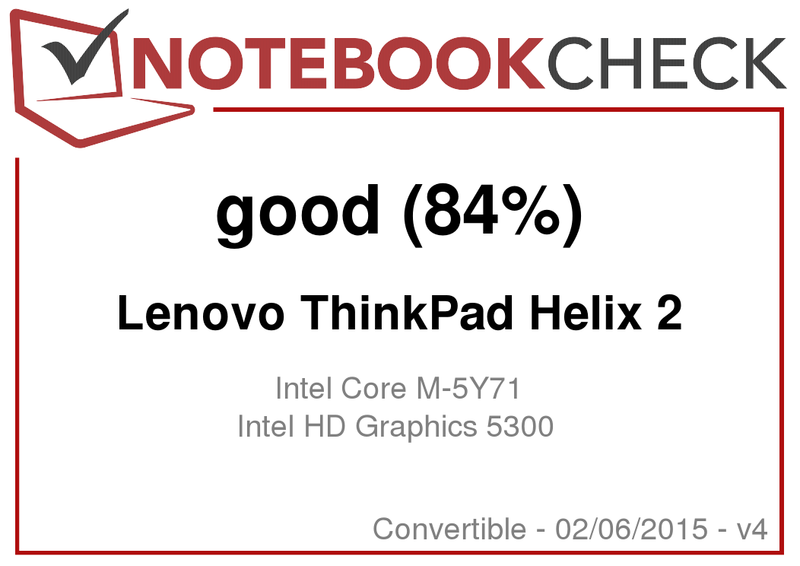 Core-M makes it possible: The new ThinkPad Helix 2 is available without a fan for the first time, but is still supposed to provide sufficient performance for all important applications. Can the versatile convertible meet the high expectations of business customers? 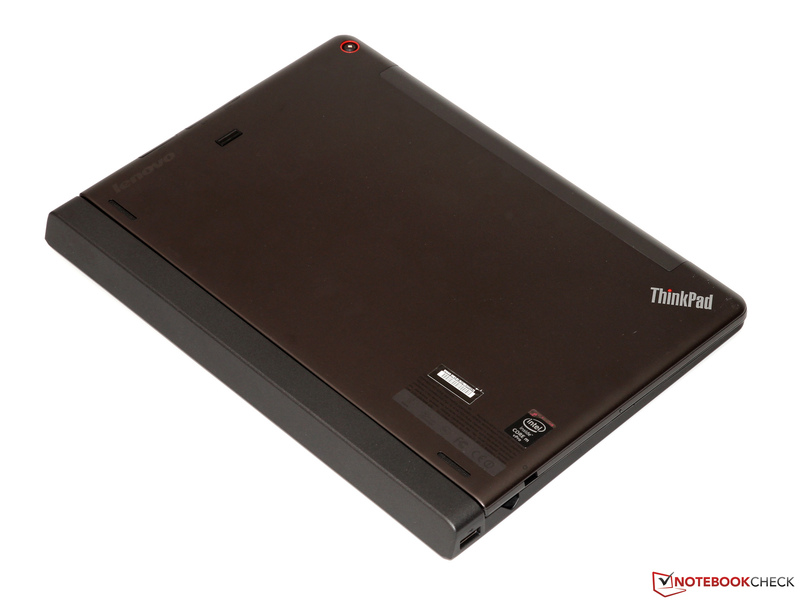 If you decide to buy a ThinkPad, you want a solid and reliable working device, one that does not necessarily follow every trend and provides modern styling. Appreciating the tried and true, however, does not mean ignoring innovation. 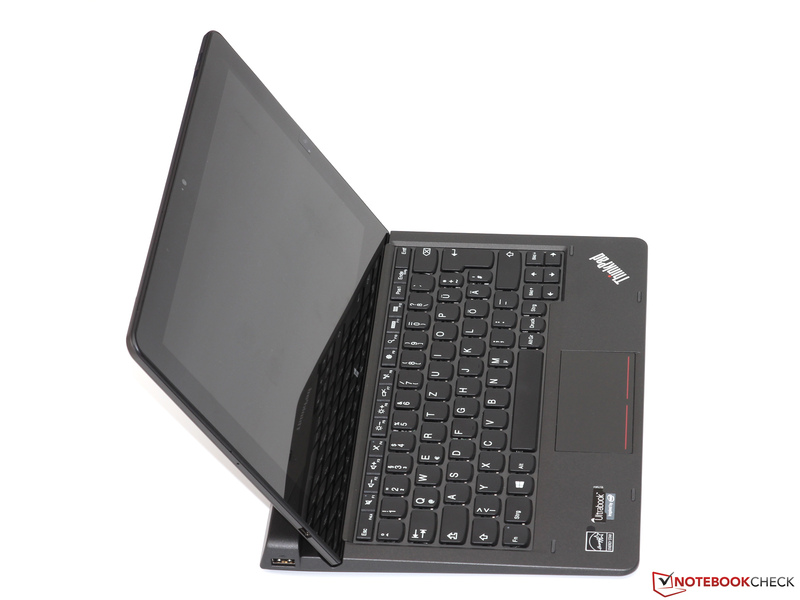 About eighteen months ago, Lenovo introduced the ThinkPad Helix, which featured many innovations as one of the first truly usable 2-in-1 notebooks for professionals. Despite an overall impressive concept, we noted some drawbacks in our review, from very high temperature development to the very steep pricing. 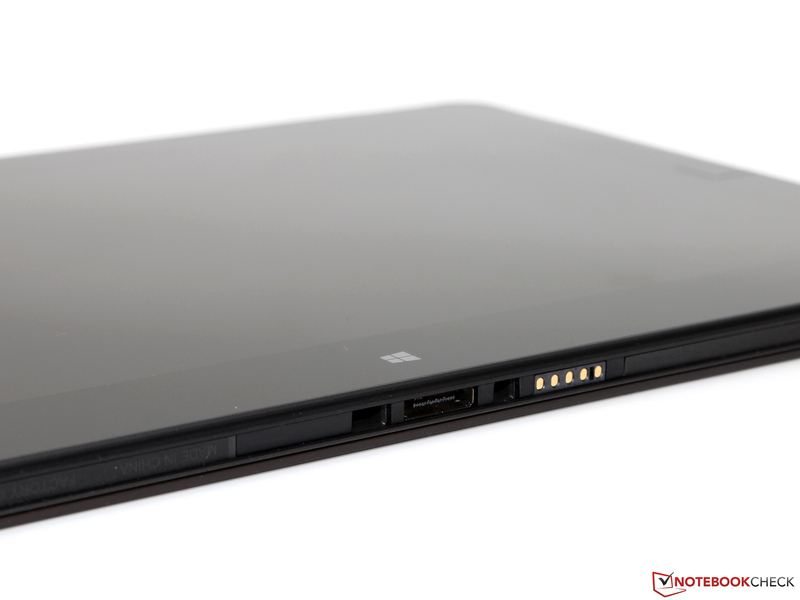 The new Lenovo ThinkPad Helix 2 is an effort to make everything (even) better. The outdated Ivy Bridge architecture was replaced by the frugal Core-M platform, which finally enables devices with passive cooling and even smaller dimensions. 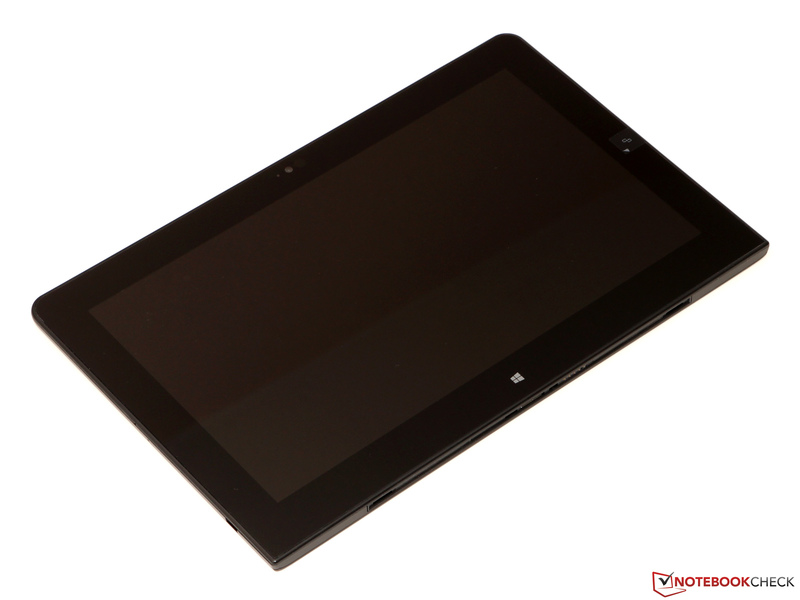 In addition, you get 4 or 8 GB LPDDR3-RAM, an SSD with 128 up to 512 GB, and an optional LTE module. 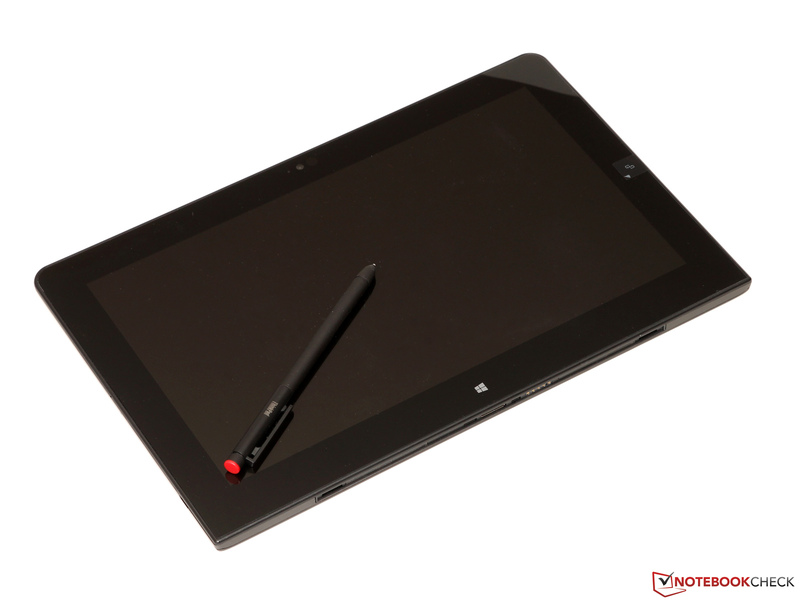 All configurations provide a 11.6-inch display with Full HD resolution and a digitizer pen from Wacom. 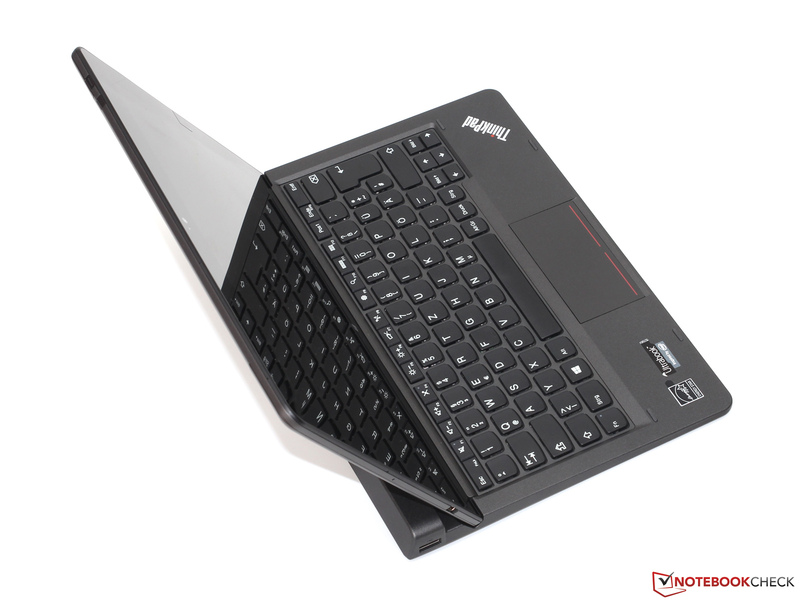 The price of our pretty well-equipped review unit (Core M-5Y71, 8 GB RAM, 256 GB SSD, LTE) is around 1,300 Euros/1480 USD without the keyboard dock, which is available for 90 Euros/103 USD (standard keyboard) and 280 Euros/320 USD (Pro keyboard), respectively. This is roughly on par with a similarly configured Microsoft Surface Pro 3. ... does not have adjustable hinges. 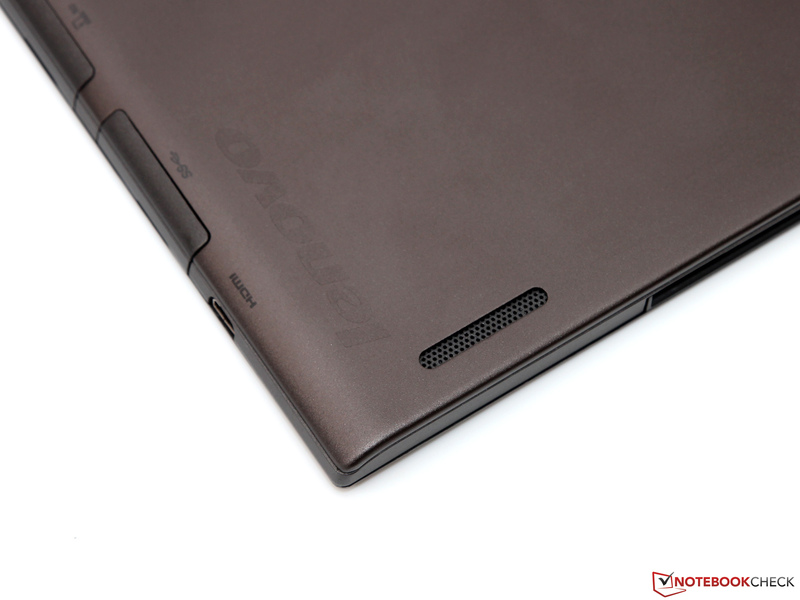 The chassis of the Helix 2 is completely new, although Lenovo did keep some design features from its predecessor. 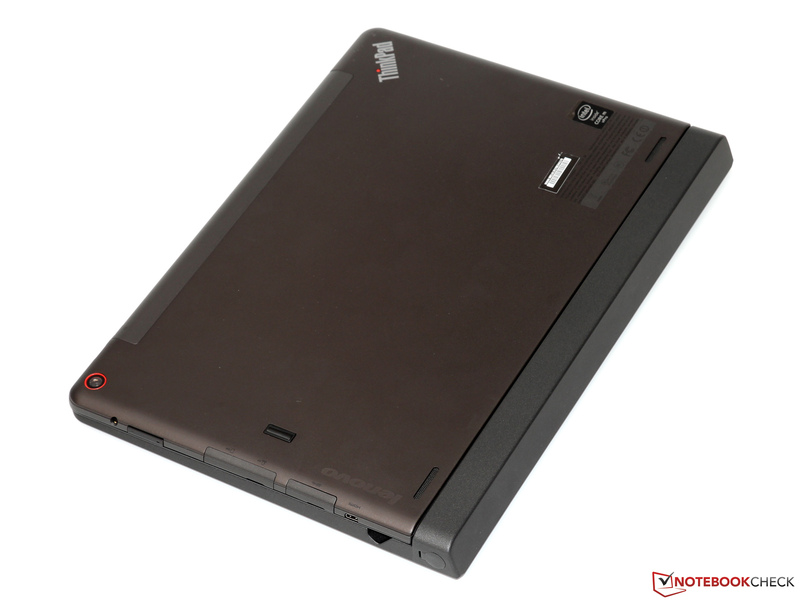 It is a typical ThinkPad device with matte gray plastic (PC/ABS)and an inner construction reinforced with aluminum. 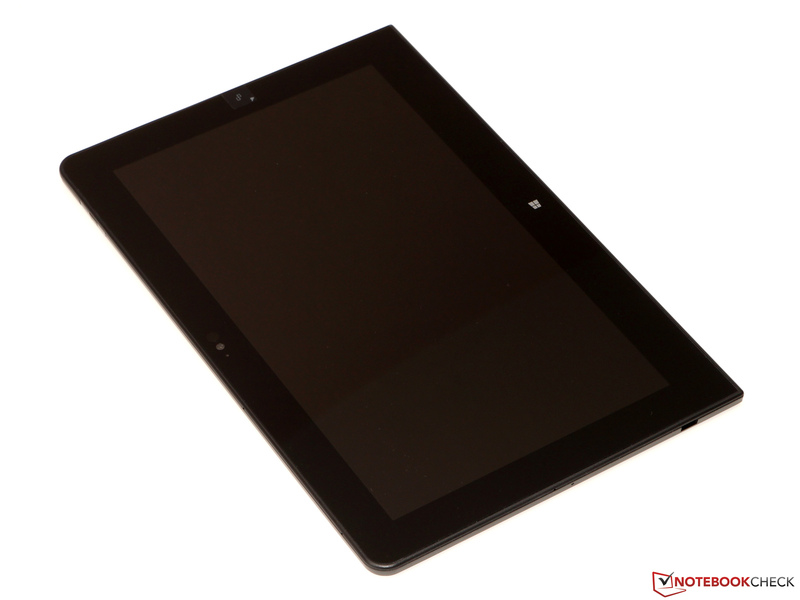 Lenovo uses strong Corning Gorilla Glass to protect the glossy display surface. All of these measures result in a pretty hefty weight of 790 grams with a thickness of just 9.6 millimeters. The stability and the build quality of our review unit are, unfortunately, not quite on the level that you would expect in this product and price class. Slightly twisting the tablet with moderate force results in some creaking sounds. This, obviously, does not affect usability, but it is not very reassuring, either. There are also some visible gaps between the display and the frame that quickly collect dust. 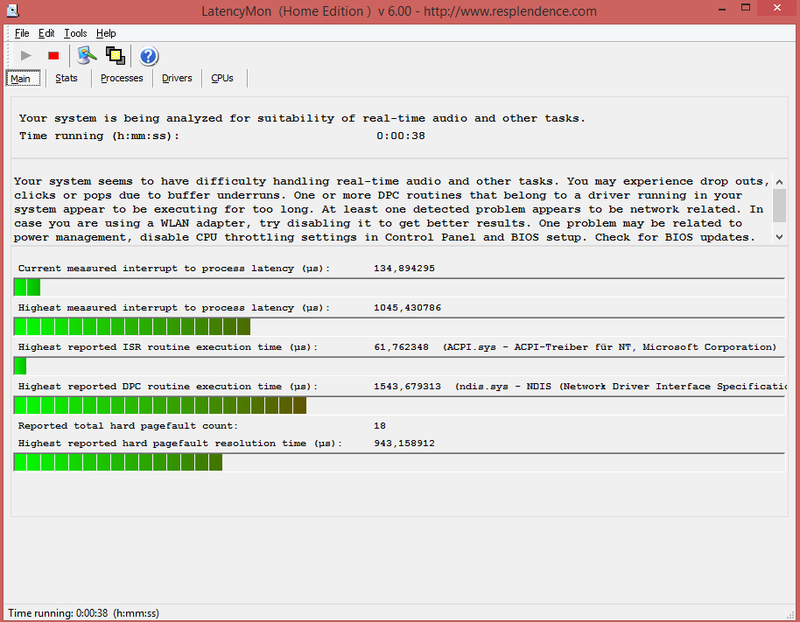 The Helix doesn't keep up with the competition from Redmond -- Microsoft definitely offers the more sophisticated device. 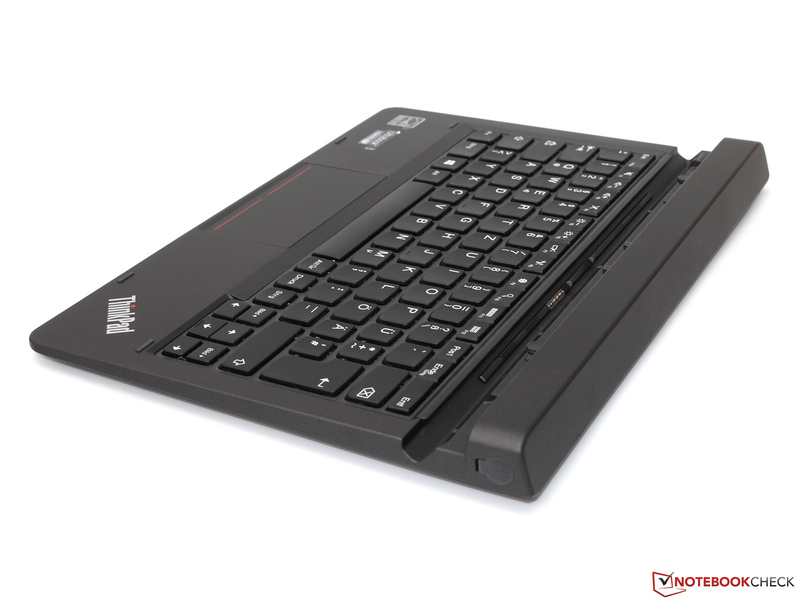 The ThinkPad is not a really productive device if you do not use a corresponding keyboard dock. 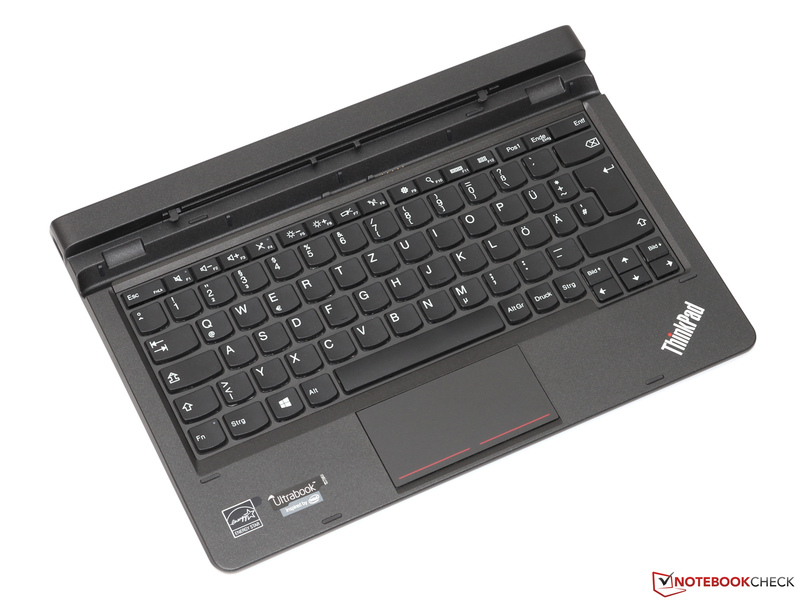 Lenovo offers two models: while the more expensive "Ultrabook Pro Keyboard" has an additional 26 Wh battery and adjustable display hinges, the tested "Ultrabook Keyboard" is basically just an attachable keyboard. The angle between the tablet and the dock can hardly be adjusted - you can only use the normal operating mode (opening angle around 120 degrees) or put the tablet flat on the keyboard for transport. 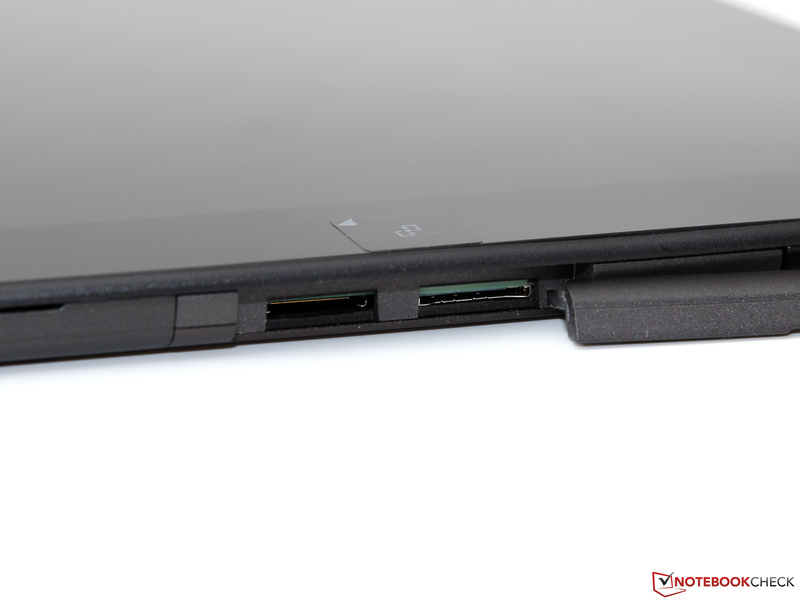 Also, the connection between the two parts is not very stable since the tablet is just inserted into an indentation of the dock. Besides the single USB 3.0 port (full size), which is hidden underneath a cover at the right side of the case, the Helix 2 only features the standard headset port, a micro-HDMI port, and a microSD card reader. 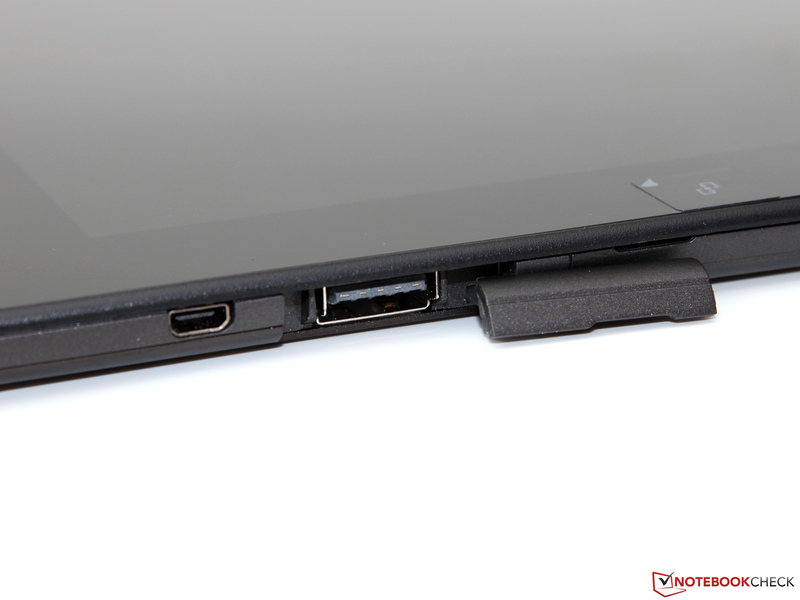 Users of the additional keyboard dock can enjoy a second USB port; and the Pro version also supplies a mini-Display Port. This means you can hardly use the ThinkPad as a real notebook if you do not have an additional USB hub and several adaptors - but the same is true of the Venue 11 Pro and Surface Pro 3. Lenovo equips the Helix 2 with pretty much every good (and expensive) communication module out there: the standard wireless adaptor is a high-end model from Intel (Wireless-AC 7265) that supports Bluetooth 4.0 as well as WLAN at IEEE 802.11 a/b/g/n/ac standards. The dual-band (2.4 and 5 GHz) and dual-stream (2x2 TX/RX) modem demonstrated a good range and impressive transfer rates. Some configurations are also equipped with a modern WWAN modem (Sierra Wireless EM7345, LTE Cat. 3) that makes it possible to use the Internet on the road. 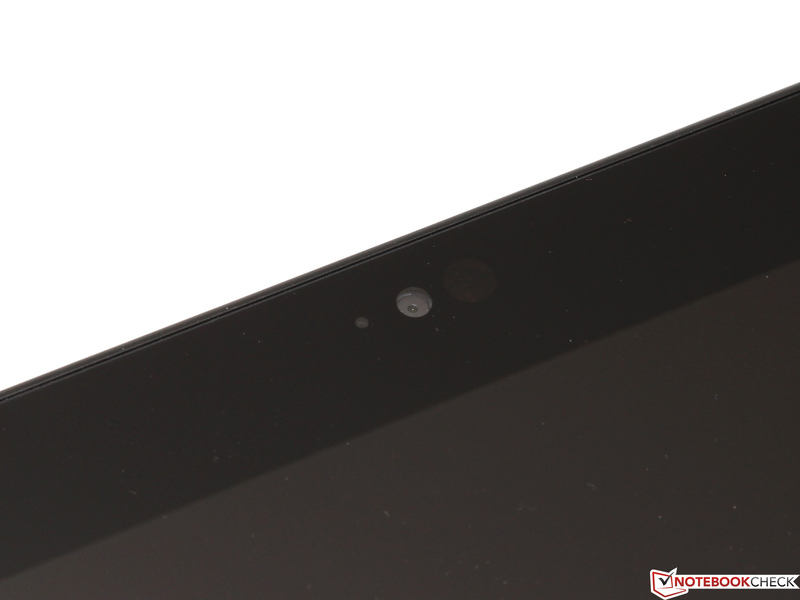 With 2.0 megapixels, the front camera of the tablet has a slightly higher resolution than many notebooks, and you actually get pictures with much more detail. The 5.0 MP sensor at the back is even better (auto focus, no LED flash), but it cannot compete with current smartphones. The manufacturer deserves praise for the integration of three microphones that ensure perfectly understandable voice recordings. 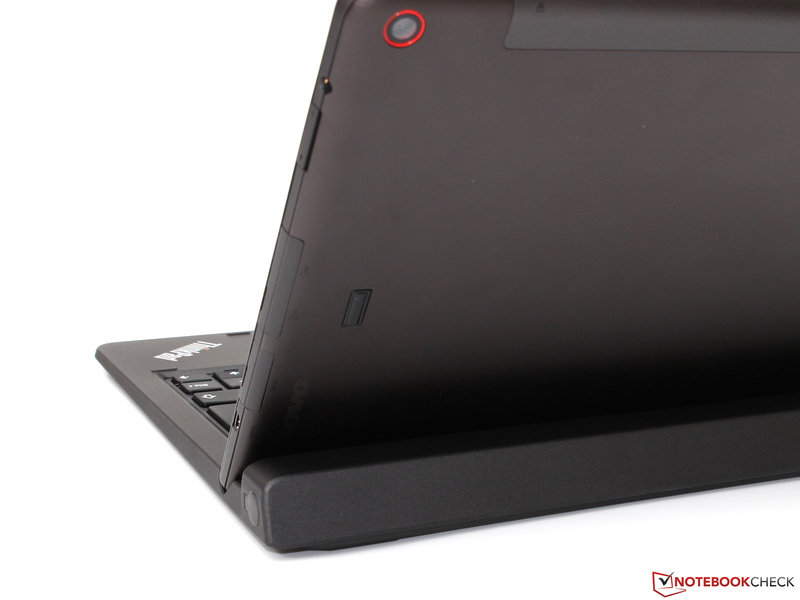 The security features of the Helix 2 do not have to hide behind other ThinkPads: besides the fingerprint reader at the back, the tablet also has a Trusted Platform Module (TPM) and supports important technologies like Intel vPro and AMT (not in combination with the Core M-5Y10) as well as Anti-Theft/Computrace theft protection. Both the BIOS and the boot sequence can be protected with passwords if necessary. We could not see any screws, indicating that even experienced users cannot open the chassis to maintain or upgrade the device without some fiddling. 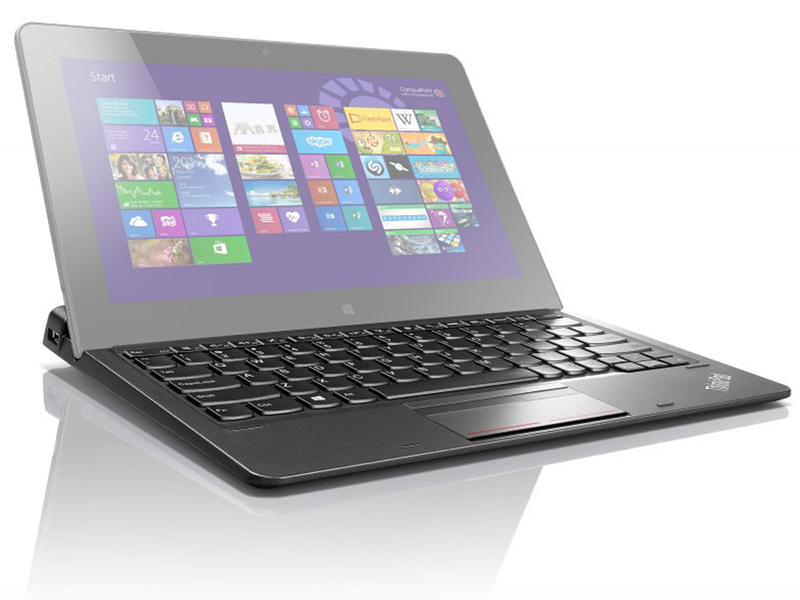 Lenovo grants a standard warranty period (at least in Germany) of 36 months for the Helix 2. As usual, it is possible to extend this period at additional cost. An upgrade to four years, for example, costs between 55 and 210 Euros depending on the service type (e.g. on-site repair) you require. Service upgrades are also available on the manufacturer's website after you enter the serial number of your device. 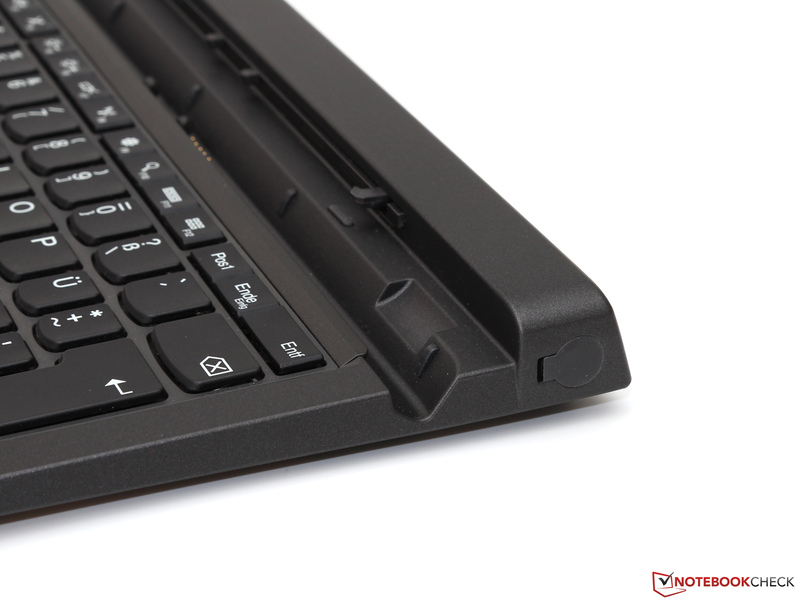 The ultrabook keyboard of the Helix is no featherweight at around 530 grams - but in return, you also get a full-fledged and sturdy input device. 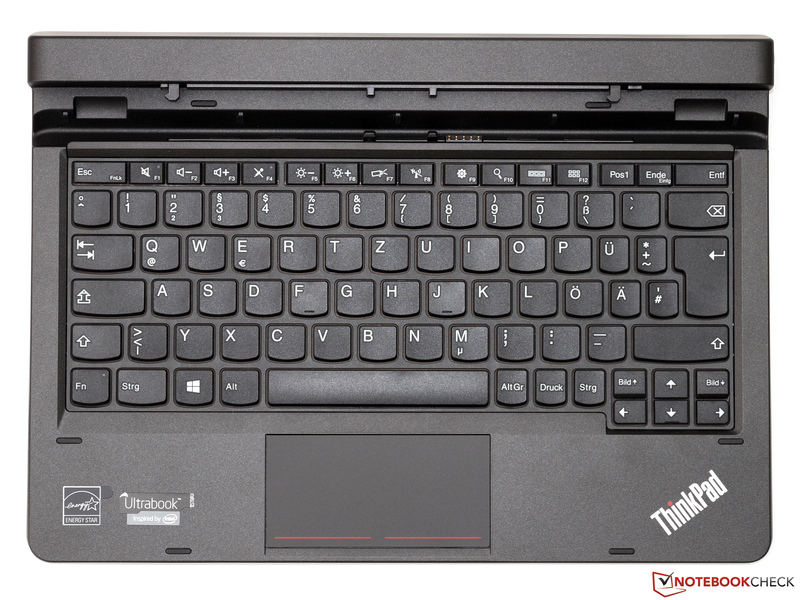 Key layout, size and travel hardly differ from standard ThinkPad keyboards, which are among the best solutions on the market. And we can confirm that the firm stroke and the precise feedback make typing very comfortable, with the production of even long texts no problem. The absence of handy background illumination for this keyboard is, however, an unfortunate omission. We are less euphoric about the corresponding touchpad, primarily because of its small size - the user gets only a 9.0 x 4.5 centimeter surface. 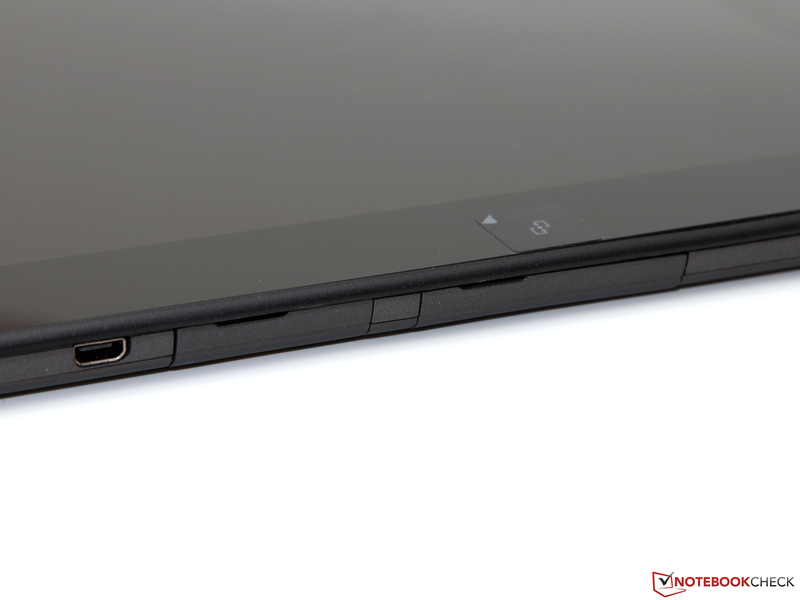 This is probably the reason that Lenovo deactivated many multi-touch gestures like pinch-to-zoom. Two-finger scrolling, on the other hand, works pretty well on the smooth surface, and the precision is acceptable as well. 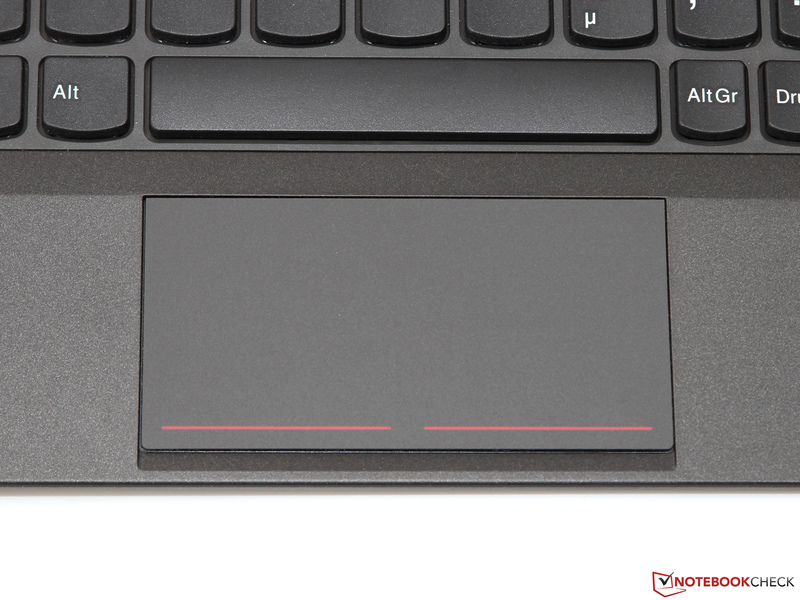 Like all new ThinkPads, the Helix 2 does not have dedicated mouse buttons anymore. Clicks are, instead, triggered by pressure on the corresponding side of the pad. 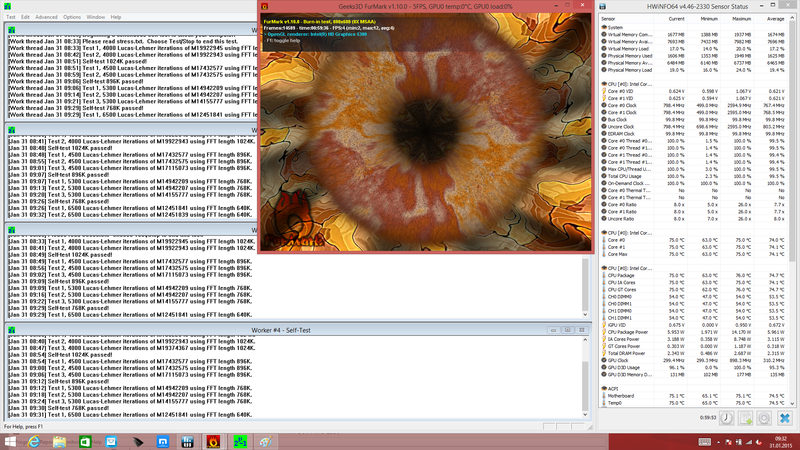 This is, unfortunately, often disrupted by accidental cursor movements, so you can occasionally miss your target. It will require some practice to master these features. Two dedicated buttons definitely would have been the better solution. Even though the capacitive 10-point touch screen executes all inputs precisely and without delay, it is still pretty tricky to control typical desktop applications. 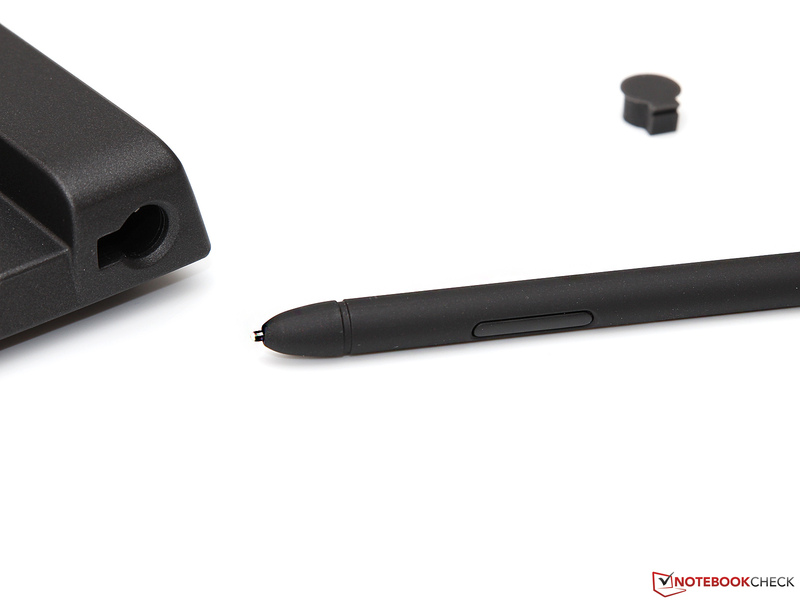 The solution: an active stylus with a fine tip that hits even the smallest icons. 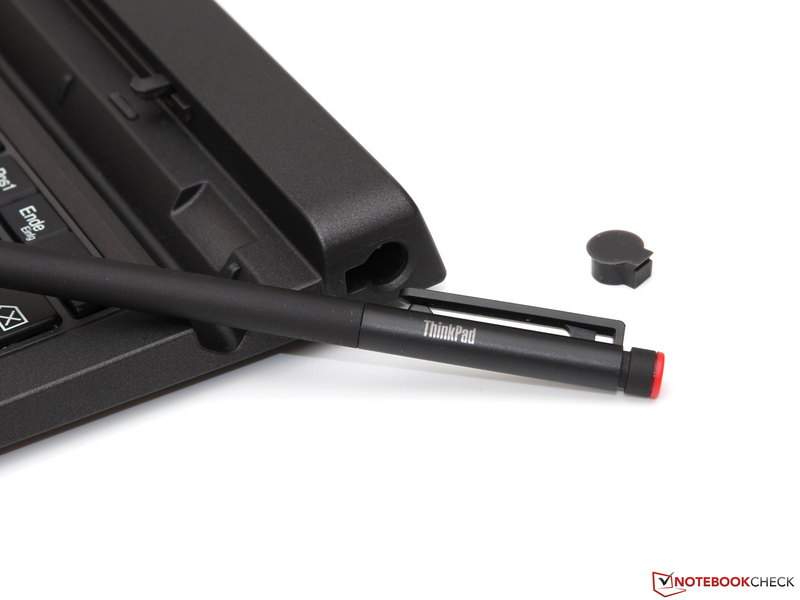 The Helix is, therefore, shipped with a Wacom digitizer, which can interpret multiple (256) pressure levels. 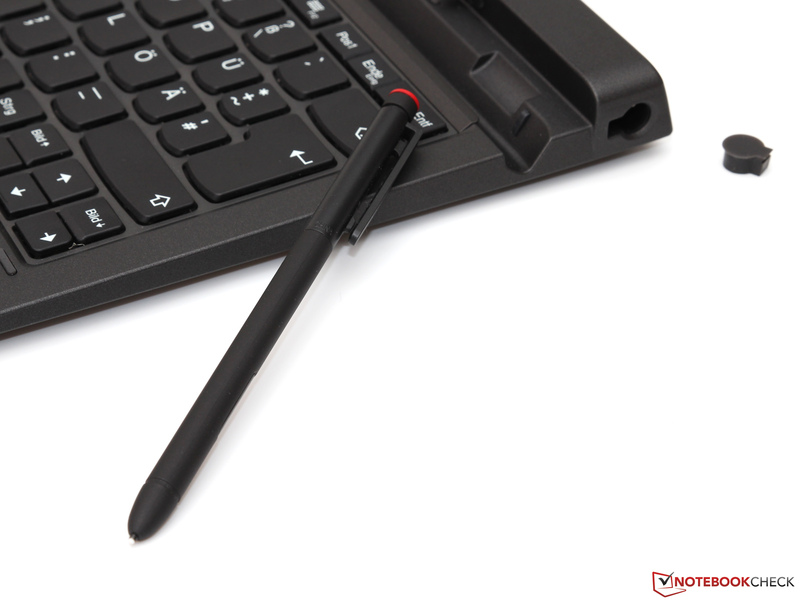 The pen can be stored in a corresponding slot at the side of the unit if you do not need it, but cannot be tethered to the tablet itself. 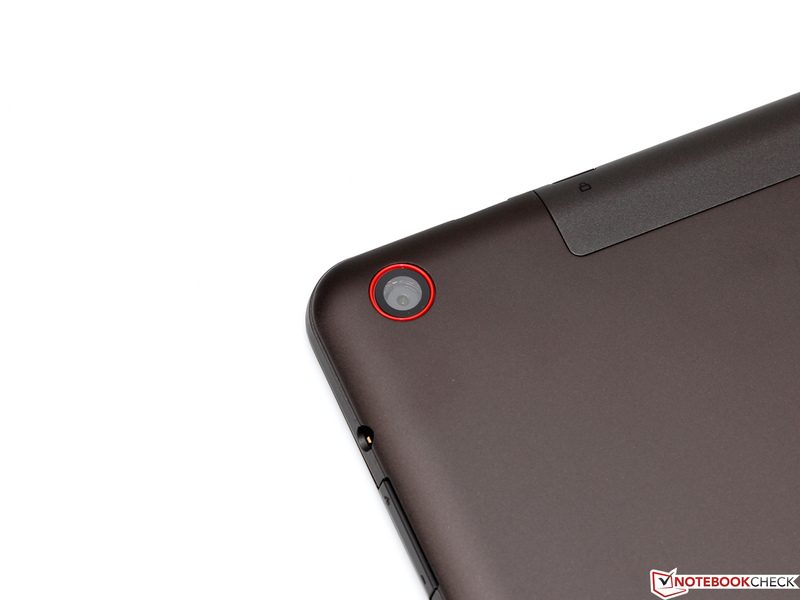 After calibration, the stylus is precise up to a few tenths of a millimeter in the center of the screen. Windows automatically shows a small crosshair as a visual aid as soon as the pen gets close the display, so the small deviations are not really a problem in practice. 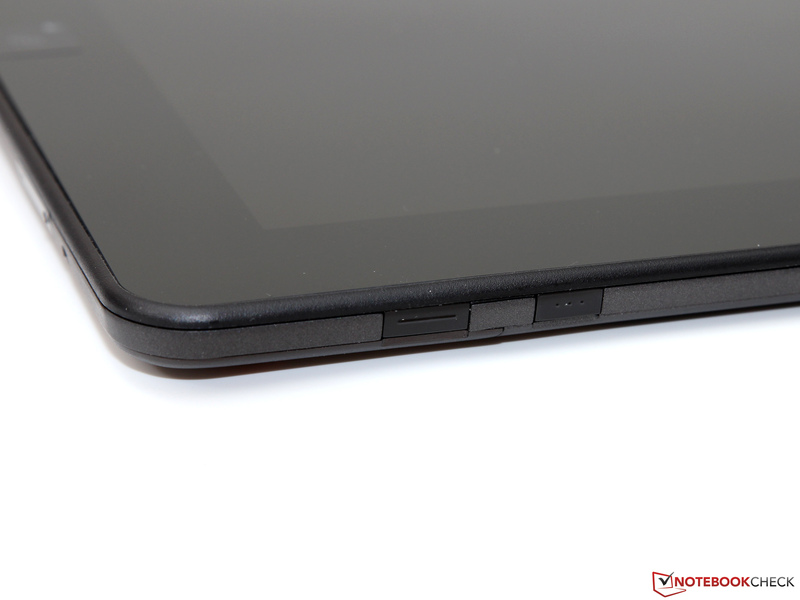 Right clicks can be triggered with a small button at the side of the digitizer. Lenovo does not offer different display options for the Helix 2, equipping all configurations with a 11.6-inch, 1920x1080 pixel Full HD panel. The resulting pixel density of 190 ppi is a good compromise, in our opinion, between manufacturing cost, screen real estate, and a sharp picture. For comparison: the higher resolution but also slightly bigger Surface Pro 3 (12-inch, 2160x1440 pixels) has 216 ppi, and the slightly smaller Venue 11 Pro (10.8-inch, 1920x1080 pixels) has 204 ppi. According to the spec sheet, the display should reach up to 370 nits, but out measurements show that the panel just misses this value. Still, the actual 342 cd/m² brightness is not bad by any means, and is not eclipsed by direct rivals Dell (357 cd/m²) or Microsoft (338 cd/m²), either. You rarely need more than 150 cd/m² indoors, so we recommend dimming the backlight down by around 4 steps (158 cd/m²), or activating the integrated brightness sensor. Also worthy of mention is the very even brightness distribution without the production of annoying screen bleed or other picture errors. Like the majority of tablets (except for some low-end models), the Helix 2 uses the high-quality IPS panel LG LD116WF1-SPN2. The rich blacks ensure a great contrast value of 1109:1, but the subjective impression is even better thanks to the glossy display surface. Not only pictures and movies benefit from the vivid picture: you will also appreciate the advantages of a high-contrast picture during office tasks. We unfortunately had to waive the usual calibration of the panel due to software issues, but the out of the box results are already pretty accurate: a decent RGB balance, low grayscale deviations (DeltaE 2.8), decent color accuracy (DeltaE 4.4) - all results that should be sufficient if you do not use Photoshop or similar applications every day; but if you do, you have the option of switching to a better quality external display. The ThinkPad struggles outdoors because of its glare-producing panel. 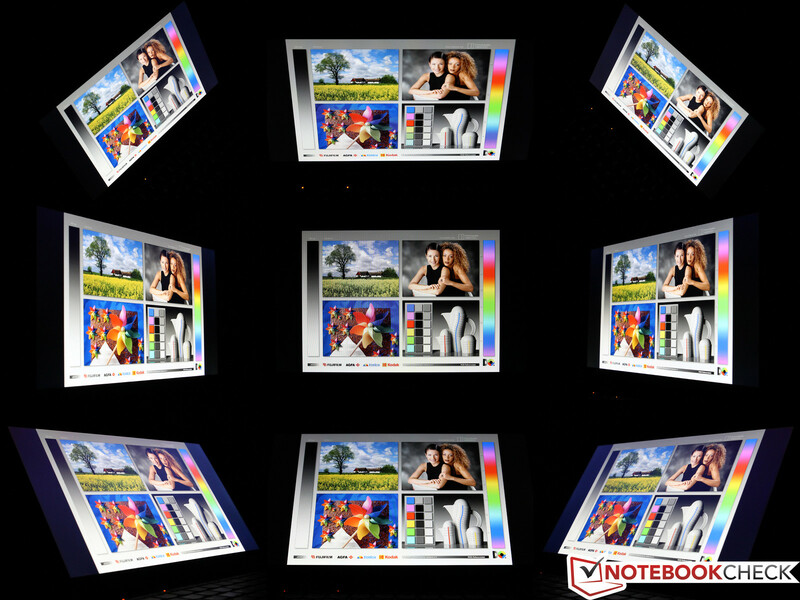 Even the maximum luminance of the LED backlight is not sufficient to compensate for reflections, so the user mostly sees him-/herself or the environment. This problem, however, is typical for all glass surface touch screens (including the Helix's rivals). You can live with the issue by opting to work in the shade. While a typical TN panel only provides a picture without distortions when you are sitting in the right spot, an IPS panel is much less affected by viewing angles from the sides. 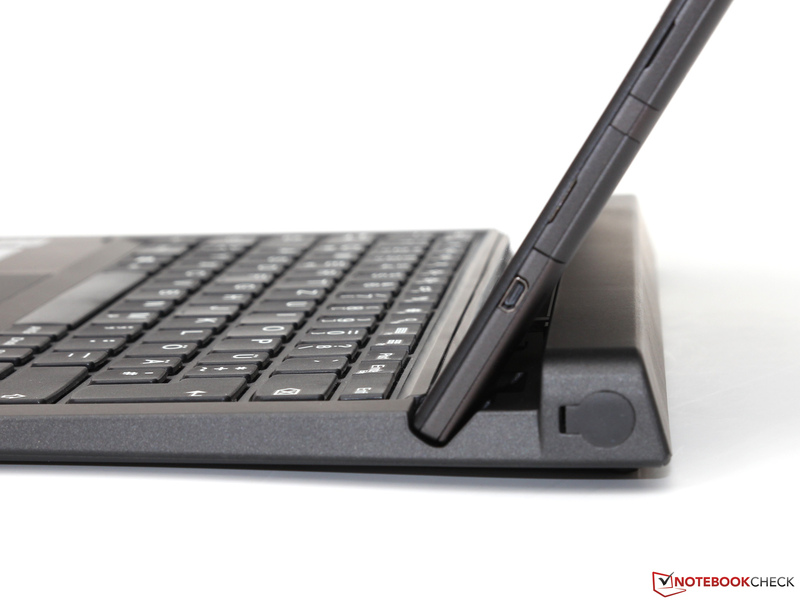 Those viewing angle issues can hardly be avoided when you use the Helix 2: the tablet can only be used at one angle with the inexpensive keyboard dock. 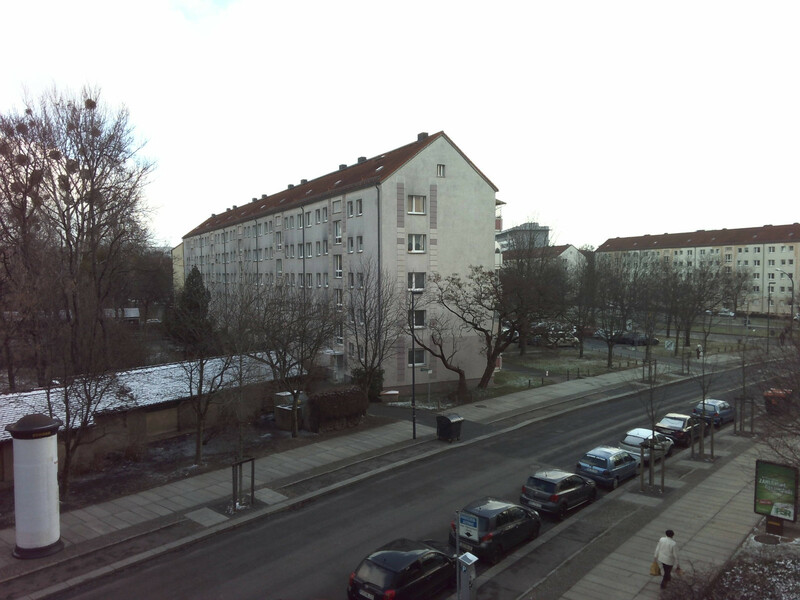 However, picture distortions like color and contrast changes are only a problem when the angle exceeds 70 degrees, so there should not be any problems in typical use. 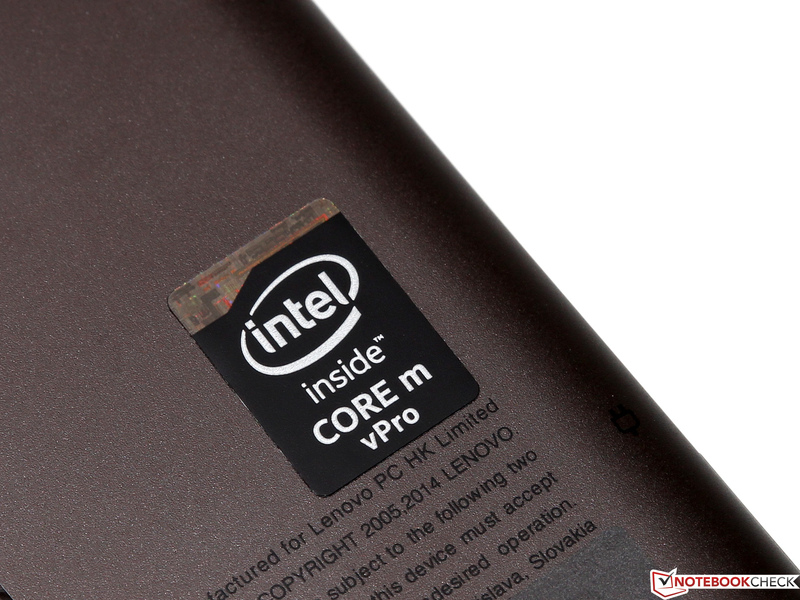 The Intel Core M-5Y71, with a TDP of just 4.5 watts, is currently the best of the frugal Core-M-series. Thanks to the modern 14 nm manufacturing process, the two Broadwell cores are still able to reach impressive clocks between 1.2 and 2.9 GHz if the chip is not restricted by power consumption or temperature development. Users do not have to waive features like hyper threading (simultaneous execution of up to four threads) or AES-NI (cryptography applications). All graphics calculations are handled by the integrated HD Graphics 5300. It runs between 300 and 900 MHz (slightly slower than the HD Graphics 5500, a "standard" ULV CPU with a 15 watt TDP), but features the same number of execution units (24), and also supports the current DirectX-11.2 standard. Considering the Helix's non-replaceable memory, it might be a good idea to get a configuration with the maximum 8 GB LPDDR3-1600 memory and 256 GB SSD. You can also get a slightly cheaper entry-level model with 4 GB RAM and a 128 GB SSD in some countries, but the limited memory and hard drive capacity could be a problem in the long run. ... and in tablet mode. Like the majority of devices with the Core-M platform, the Helix 2 is equipped with a completely passive cooling solution that dissipates system-generated heat via the front and rear of the device. Full Turbo Boost potential is only available for a couple of seconds before the chip drops to much lower frequencies. 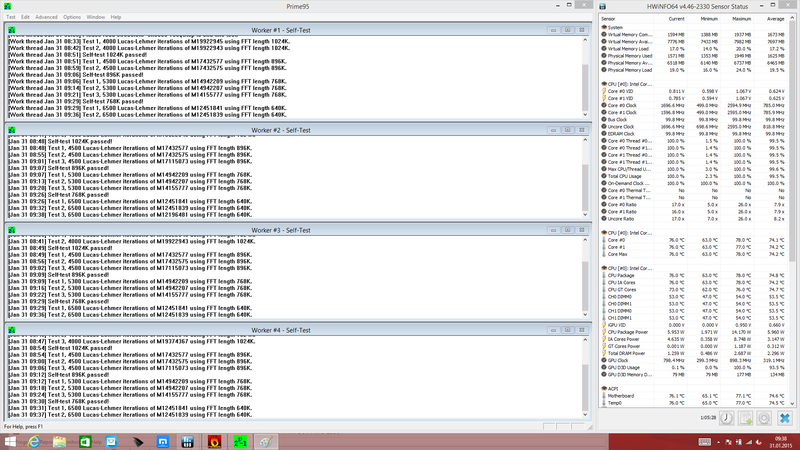 We wanted to evaluate this behavior more closely with the help of Cinebench R11.5. The single-thread test was executed at a processor clock speed of around 2.8 GHz (9.3 watts) at the start before dropping to 2.2 GHz (6.0 watts) after 30 seconds. 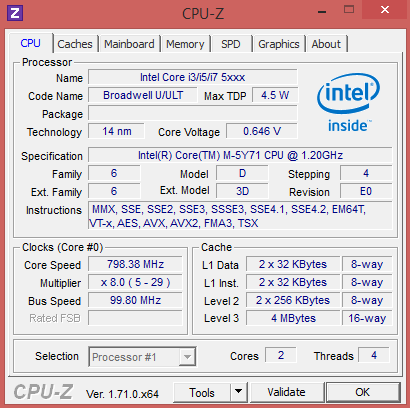 The CPU behaved the same way in the multi-thread test: 2.6 GHz (13.3 watts) at start-up, then 1.7 GHz (6.0 watts) over the course of the benchmark. 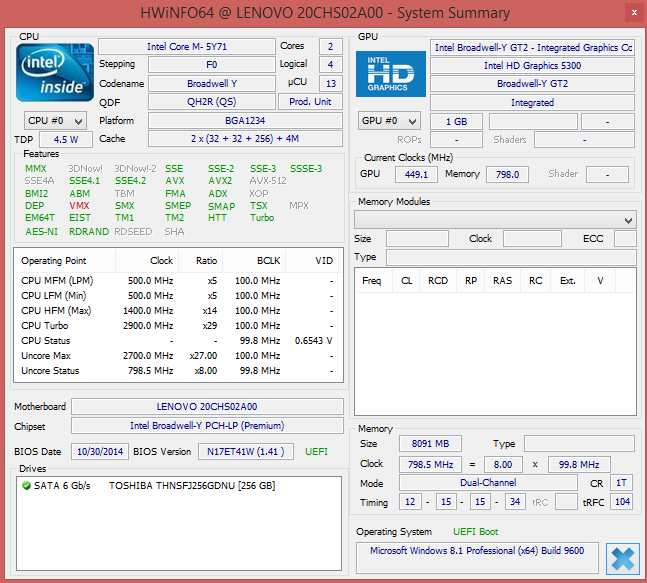 It seems that Lenovo raised the TDP of the Core M-5Y71 to 6.0 watts, which explains the comparatively good performance. 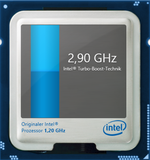 The processor is limited to 4.5 watts when you use the Helix 2 without the keyboard dock, which also means that the clock speeds are noticeably lower (1.8 GHz single-thread, 1.4 GHz multi-thread) and the performance is reduced by up to 20 percent. We observed this behavior on both main and battery power. 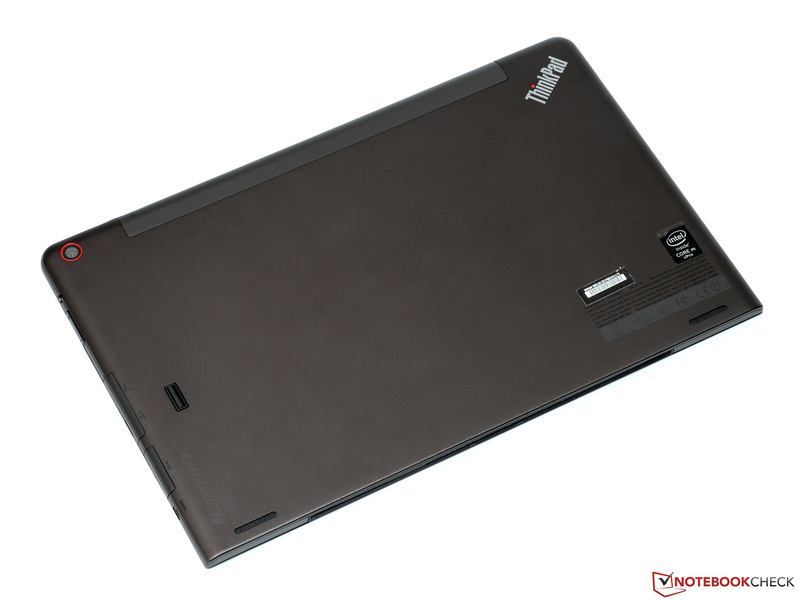 Our review unit was equipped with a Toshiba 256 GB SSD (HNSFJ256GDNU). 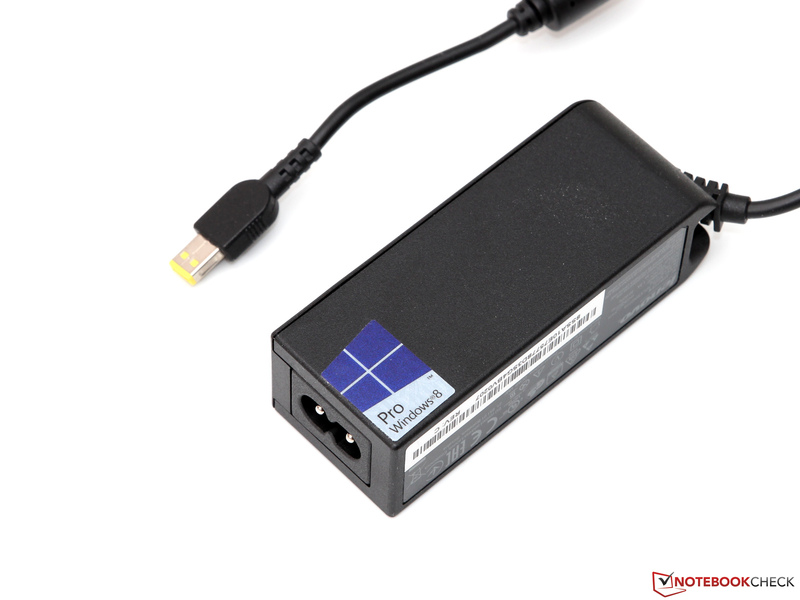 We suspect it is the M.2 version of the Toshiba Q Series Pro, which is based on a Marvel controller (88SS9187) and 19 nm MLC-NAND. The important thing is obviously the performance - and the results were pretty decent. Besides the solid sequential read (474 MB/s) and write performance (216 MB/s), the results (based on multiple simultaneous accesses of small 4K files) were particularly good. All in all, this storage drive is a good solution, but we cannot guarantee that Lenovo will not use SSDs from other manufacturers over the course of the Helix 2's production cycle. The frugal Core-M processor of the Helix 2 does not, of course, stand a chance against the performance of the actively cooled 15 watt CPU inside the Surface Pro 3. But we were still surprised by the small differences we noticed in actual usage. Thanks to its high Turbo Boost potential, the ThinkPad can easily cover short peak load just like a much bigger ultrabook. While longer periods of load result in much lower clocks, especially in tablet mode, it's worth keeping in mind: this device was not designed for complex renderings or simulations. The system's impressive responsiveness owes more than a little credit to its fast SSD. System launches and loading times benefit noticeably from the low access times of the flash storage - but this type of storage solution is standard for the comparative Dell and Microsoft devices. You should not expect any performance miracles from the integrated HD Graphics 5300 when you consider its limited power consumption. The GPU is actually between the older HD Graphics 4200 (Haswell, 11.5 watts) and HD Graphics 4400 (Haswell, 15 watts) and is, therefore, slower than any dedicated low-end GPU of the last 2-3 years. Still, the HD 5300 is well-equipped for all relevant tasks. The performance is more than sufficient for a smooth Windows experience and simple 3D tasks, especially since the chip can handle the playback of high-resolution 4K trailers (H.264 codec, 100 Mbps) with minimum CPU load. 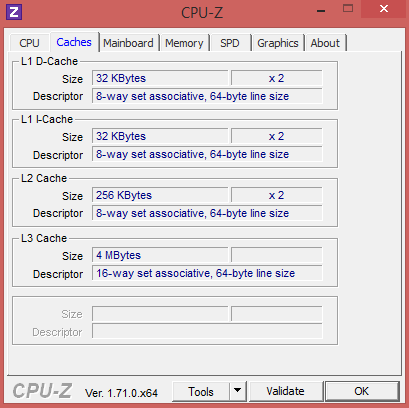 The best solution for encoding and transcoding of videos is the Quick Sync feature, which Intel has once again improved; other calculations (several Photoshop functions, for example) can be accelerated via Open CL-API. If you do not want to waive gaming despite the mediocre 3D performance, then you should focus on older or less demanding titles like Dota 2. Popular Action-RTS titles can, at least, be played at low or medium settings most of the time, but modern 3D blockbusters like Assassin's Creed Unity or Ryse: Son of Rome are hardly playable, even at the lowest details. 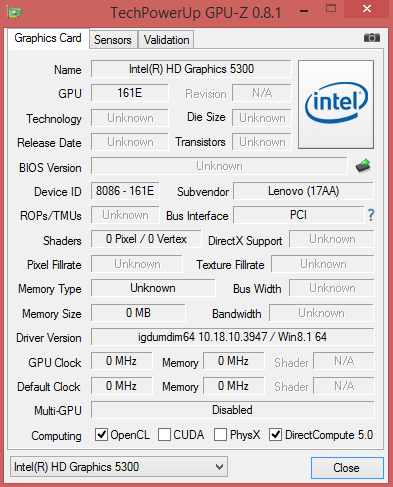 More gaming benchmarks for the HD Graphics 5300 are available in our database. 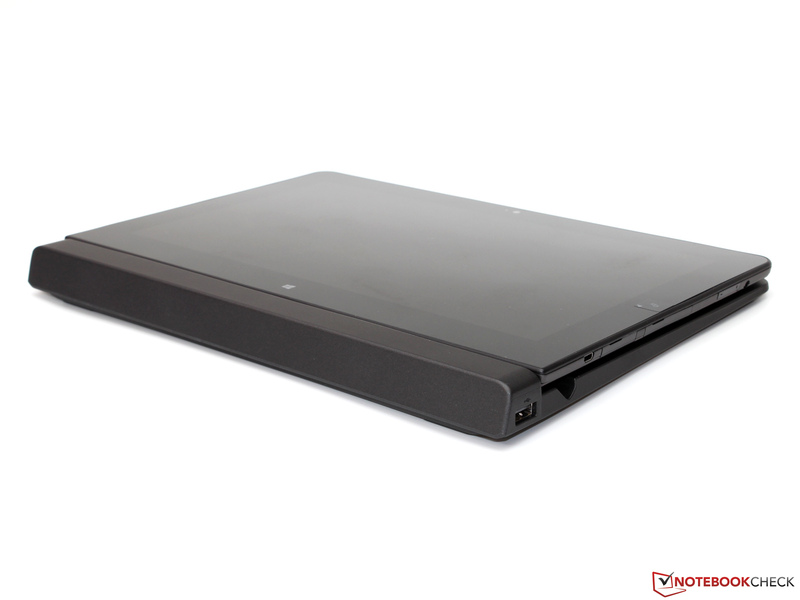 Contrary to its predecessor, the Helix 2 does not have a fan and is, therefore, virtually silent. You can actually hear a quiet electrical murmur when you hold the device next to your ear, but this is no problem when you use the tablet at a normal viewing distance of more than 30 centimeters. 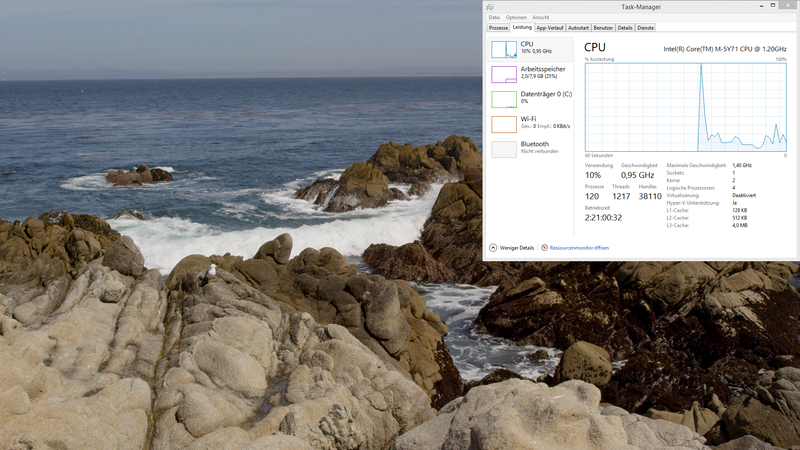 It is usually not a problem to cool modern CPUs passively while idling thanks to sophisticated energy-saving features. But how does the device handle maximum load? You do not have to be concerned: when we performed temperature tests, the ThinkPad (with the dock attached) only got lukewarm, even in extreme situations. As previously mentioned, the processor is limited to 4.5 instead of 6.0 watts when you only use the tablet, which means the temperatures are even lower in tablet mode. The temperatures of the hardware inside the chassis are just as moderate. After a one-hour stress test with Prime95 and FurMark, the CPU leveled off at around 75 °C, which is 20°C under the specified maximum value from Intel (95 °C). 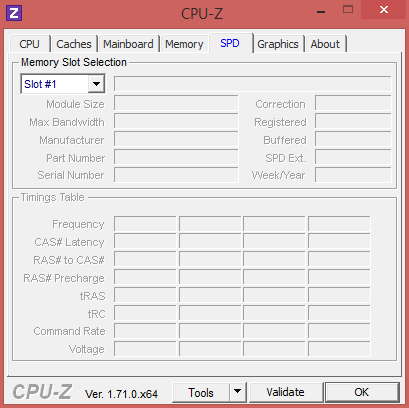 The only reason for the CPU (800 MHz) and GPU (300 MHz) throttling is the TDP limitation. 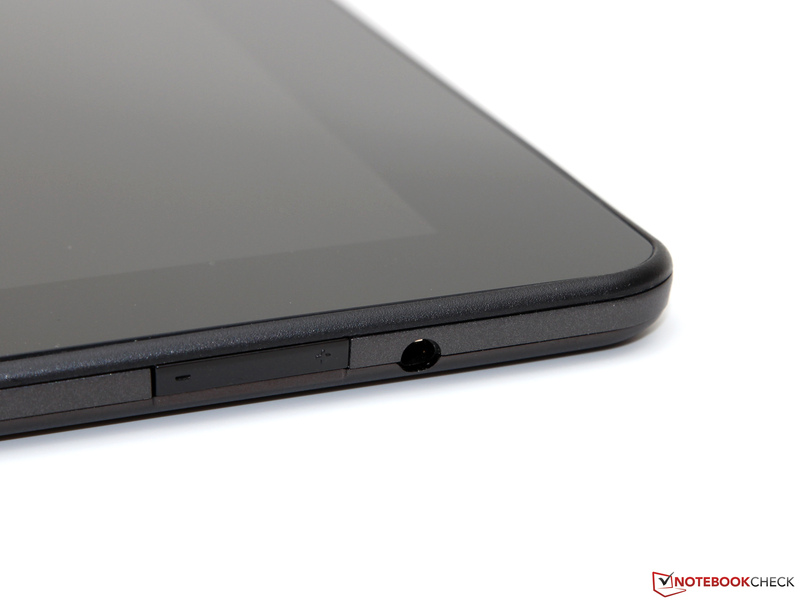 Compared to many other tablets, the stereo speakers at the back of the tablet produce a surprisingly balanced and rich sound. Only the low maximum volume is a bit disappointing, and is hardly sufficient for medium-sized rooms. The standard stereo jack provides the option to attach external speakers or headphones. Depending on the power profile, the display brightness and the activated wireless modules, the Helix 2 only consumes between 2.0 and 6.6 watts while idling - an impressive improvement compared to its predecessor, which consumed between 7.9 and 11.5 watts under the same conditions. The Core-M platform produced excellent consumption results in general, which is on par with the Dell Venue 11 Pro (2.0-6.2 watts). We measured a consumption of around 17 watts under load, with little difference between a simple CPU benchmark or our most demanding stress test. 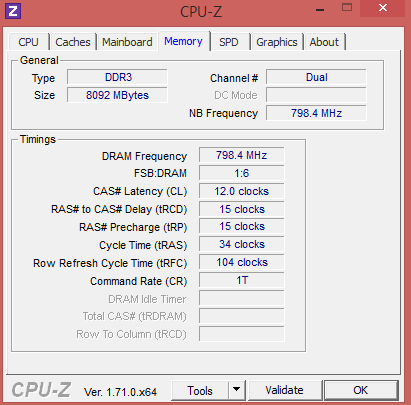 The Broadwell chip adjusts its clock depending on the current consumption in general, and the TDP limit can only be exceeded for very brief periods anyway. We were able to measure a maximum value of 30 watts, but that is no problem for the 36-watt power adaptor. 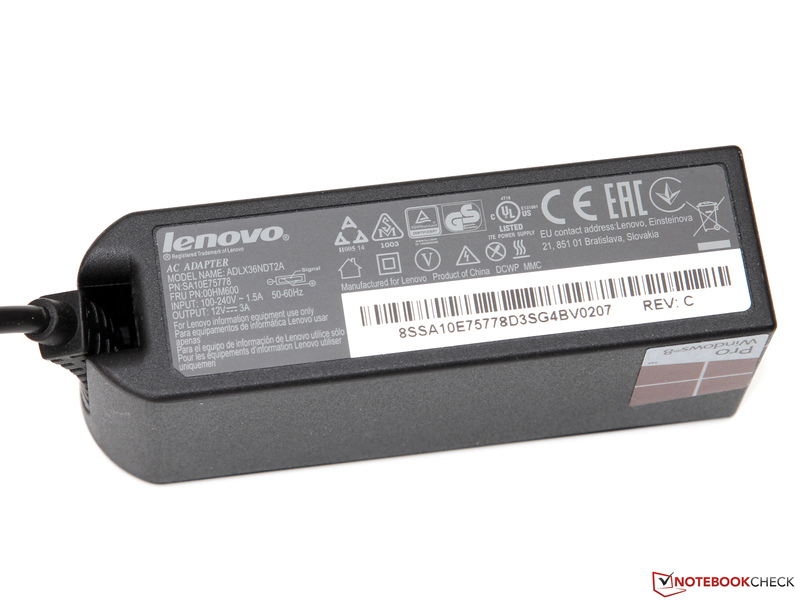 Lenovo has slightly decreased the capacity of the integrated lithium polymer battery - you now get only 35 Wh (not the previous 42 Wh). The optional Ultrabook Pro keyboard gives you another 26 Wh, but the non-Pro version that we tested does not have its own battery. The efficient Broadwell platform gets the maximum results from these limited power reserves, and enabled runtimes of up to 16 hours and 4 minutes In the Battery Eater Reader test's idle scenario (with the energy-saving profile on, minimum brightness, and deactivated wireless modules). An indicator of more realistic results were our WLAN and H.264 tests, which indicated that users can browse the web or watch videos for around 6 to 7 hours with brightness adjusted (around 150 cd/m²) before the battery runs down. When we tested the full potential of the ThinkPad with the Battery Eater Classic test, we still got a respectable 3 hours and 17 minutes. 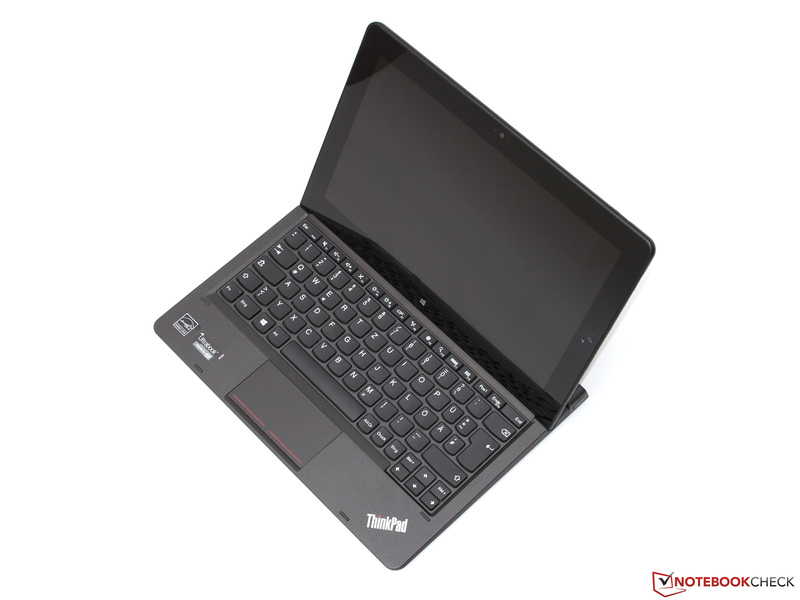 This means our review unit cannot quite compete with the almost four hours of the Dell Venue 11 Pro - but the Dell benefits from a keyboard dock with a secondary battery. 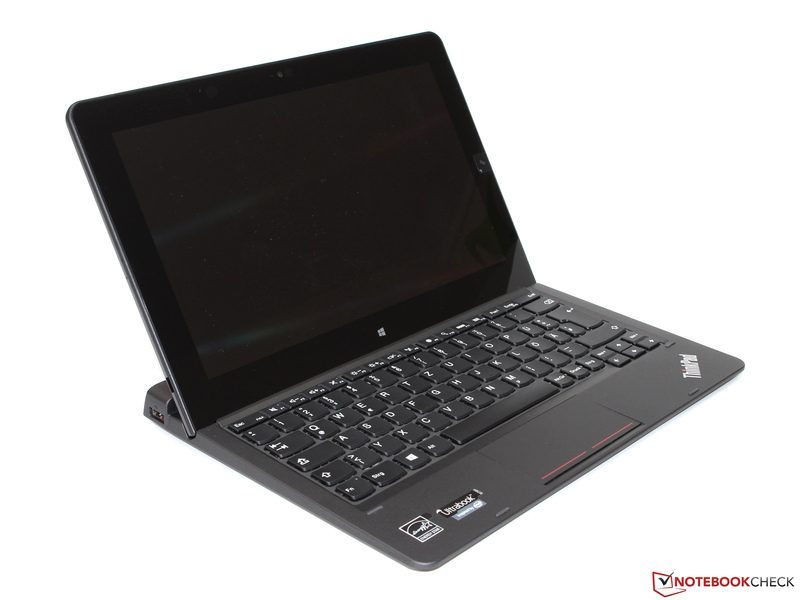 With the ThinkPad Helix 2, Lenovo improved the basic idea of its first generation tablet and business notebook combined in a single device. 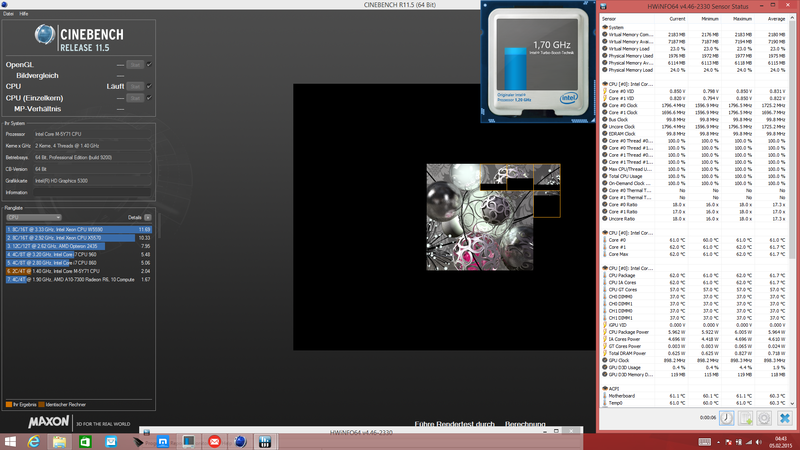 This required a lot of hardware compromises, but the overall package is now much better thanks to the new CPU platform. The frugal Core M-5Y71 impresses not only with its low cooling requirements (the passive cooling solution is sufficient), but also its solid performance, which is more than enough for all office and multimedia applications. The improved power efficiency also has a positive effect on the battery runtimes - even the integrated 35 Wh battery easily manages 6 hours or more. 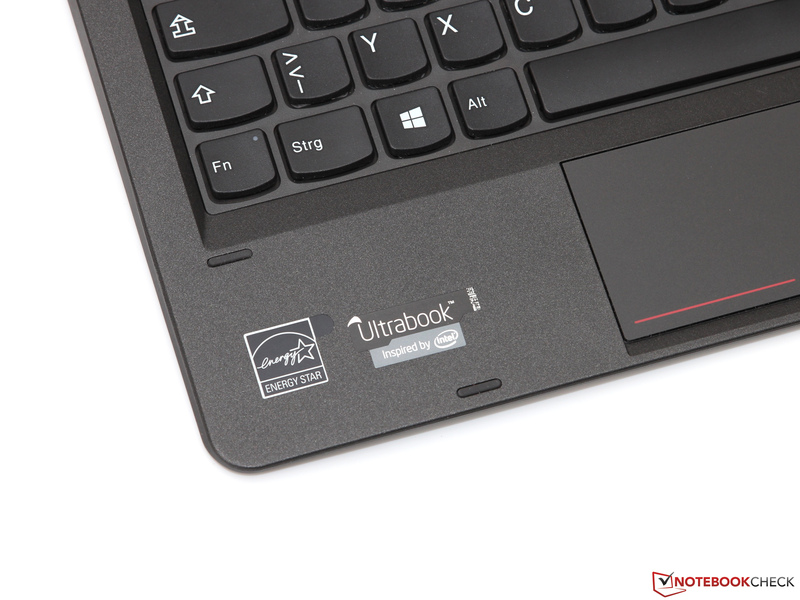 More stamina is available with the optional Ultrabook Pro keyboard, which is almost 200 Euros/240 USD more expensive than the reviewed non-Pro version - but in return, you get a secondary battery, Trackpoint, and flexible display hinges. This brings us to one of our biggest criticisms: the hefty price. Our review configuration currently weighs in at almost 1,400 Euros/1600 USD, which is pretty steep despite the performance components (8 GB RAM, 256 GB SSD, LTE). This price is even more difficult to accept in a unit whose build quality and chassis stability cannot fully meet Lenovo's claim to "premium" status. 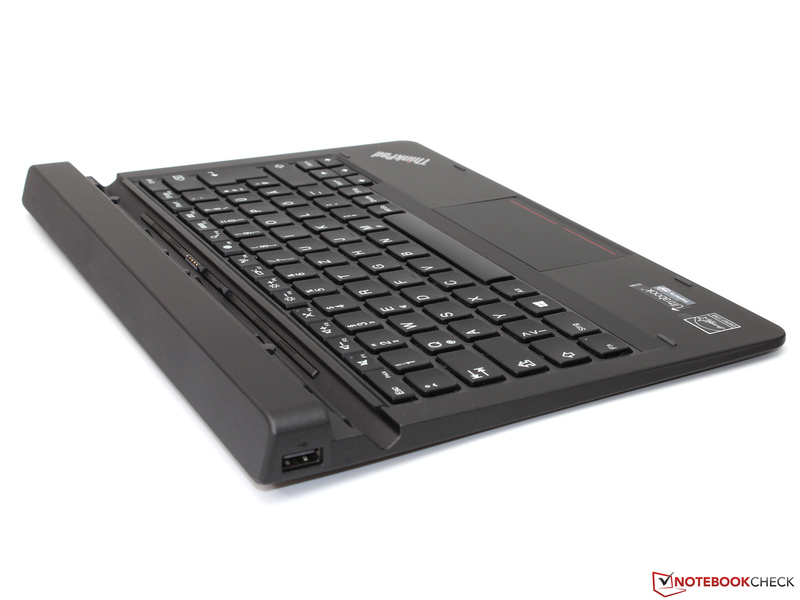 At least the ThinkPad keyboard, which is as great as always, compensates for a few drawbacks. 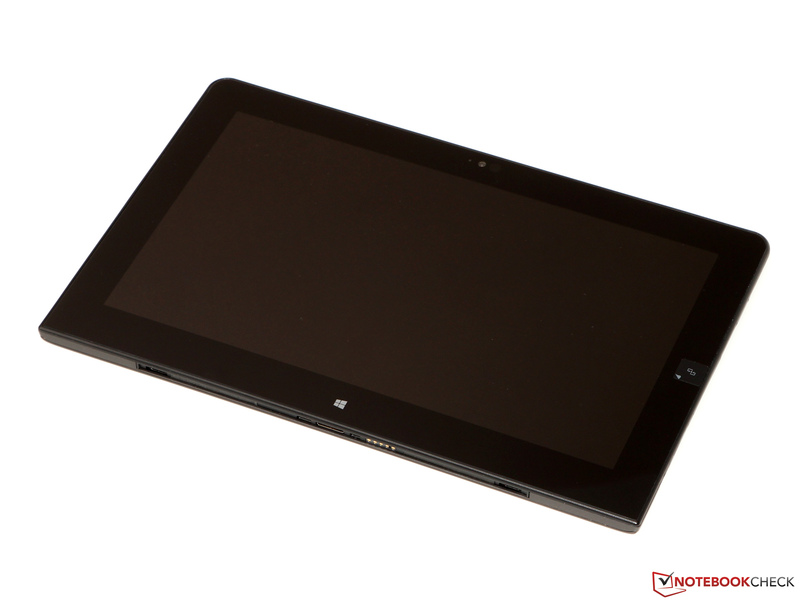 Last, we have a look at the competition: potential Helix 2 buyers should consider the previously mentioned Dell Venue 11 Pro as well as the Microsoft Surface Pro 3 in particular. Dell's device is a real price-performance champion depending on the configuration, while the Surface, with its very sophisticated chassis, can sway some users from the Helix. 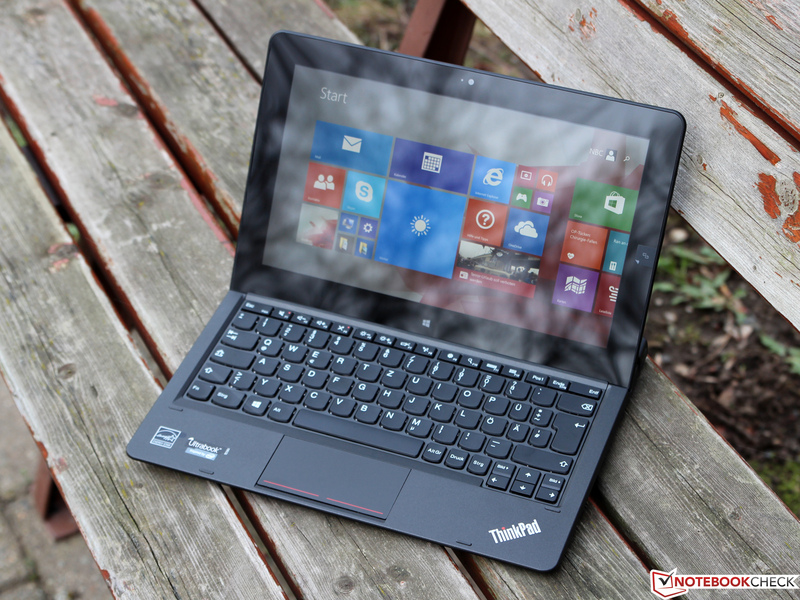 In Review: Lenovo ThinkPad Helix 2. Test model courtesy of Campuspoint. ... just for web browsing and watching videos. ... but also very good input devices. 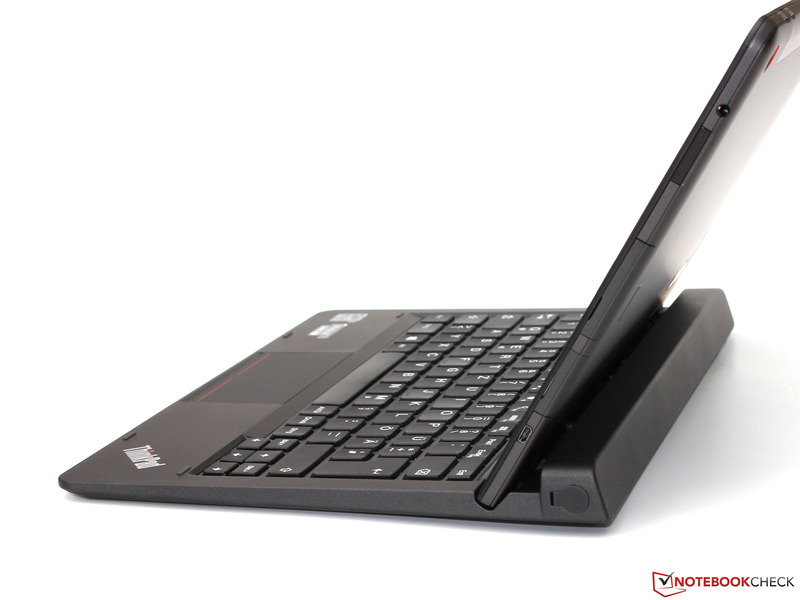 ... and the quality is on one level with a normal ThinkPad keyboard. ... creates a great feedback for the user. 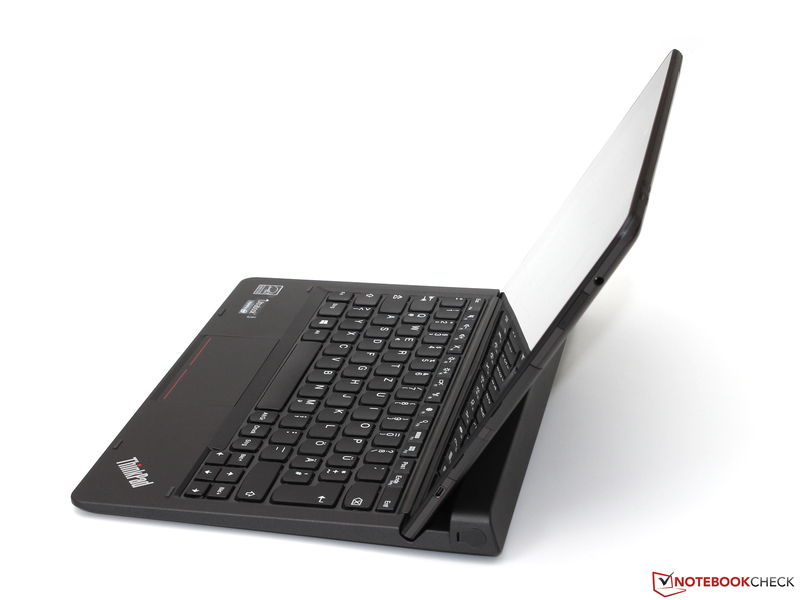 ... are only available with the more expensive Ultrabook Pro keyboard. ... if you want to transport the Helix. ... from the manufacturer Wacom. ... be attached to the tablet. ... as well as a headset port. ... the microSD card reader as well as the SIM slot. ... the sensor at the back takes pictures with up to 5.0 MP. 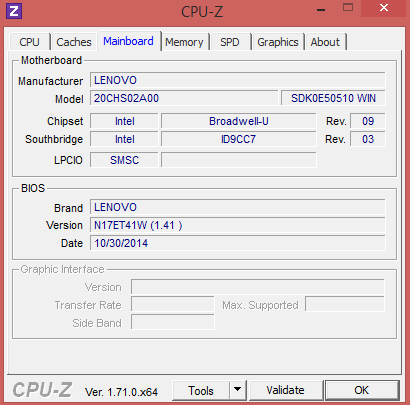 ... reveals the Broadwell CPU inside. 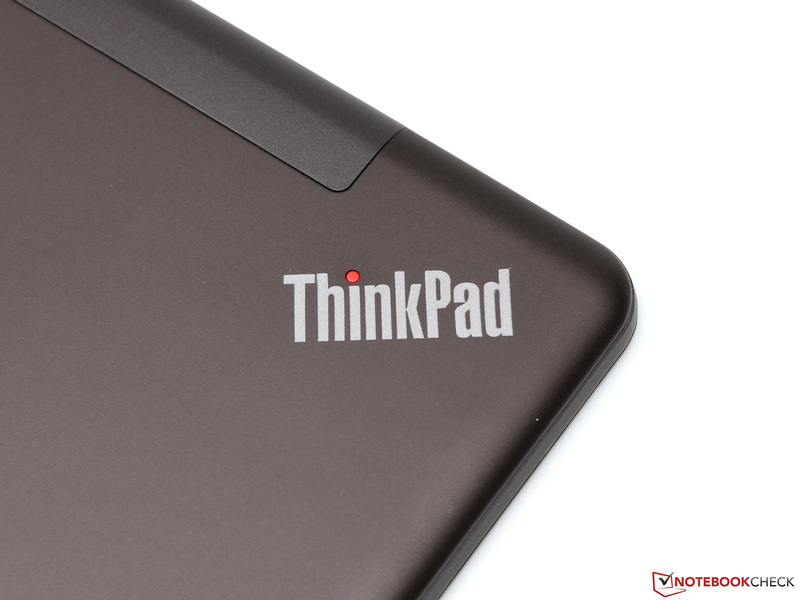 ... just like any other ThinkPad. Pretty powerful for a tablet: the two stereo speakers. ... which is more than enough for the frugal hardware. Finally without a fan! Intel's Core-M-series is the perfect platform for mobile yet powerful 2-in-1 devices. Even though the Helix 2 is generally a solid product, alternatives like the Surface Pro 3 show that there is still room for improvement in terms of build quality and materials. With a TDP of just 4.5 or 6 Watts, respectively, the Core M-5Y71 matches the performance of some 15-Watt CPUs from a couple of years ago.